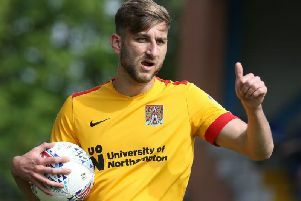 Cobblers have announced they will be off to Spain for a pre-season training camp in July. The Town squad will spend a week at the Pinatar complex from Sunday, July 7, until Saturday, July 13, with at least one game scheduled to take place towards the end of the week. More details will be confirmed in due course. The facilities there are fantastic, they are often used by Premier League sides and international squads and this will help us enormously with our preparation for the new season. The Pinatar complex offers first class facilities and hosted Newcastle United for mid-season training camps in both February and March when they played fixtures against CSKA Moscow and Antwerp. The training base is accessible from both Murcia and Alacante airports and the Sixfields Travel Club are looking in to the possibility of running a trip for supporters who wish to follow the team during the week. “This will be an important week for us,” said manager Keith Curle. “We will have a huge amount of work to get through in pre-season and this time away will give us a chance to spend the week together, often with multiple training sessions per day to get a lot of that work done. “The facilities there are fantastic, they are often used by Premier League sides and international squads and this will help us enormously with our preparation for the new season. “We are looking to play at least one fixture when we are away, against another club who are at the complex towards the end of the week.